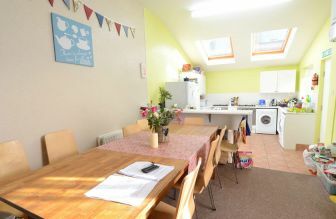 Very, very very large Newcastle student accommodation in a quiet street within easy reach of the Universities in a popular student area with Sainsbury and Morrisons on the doorstep. We were Newcastle students ourselves :-) Okay, so it was a long time ago, but we know what goes into making a smooth and stress-free student tenancy. We are not some large faceless company which treats it's tenants like a number - in fact we pride ourselves on knowing all our students on a first name basis. Attending to any problems should they arise is very important to us. We undertake any repairs next day using our own dedicated workforce. So unlike many student letting agents we can sort things out without having to get prior approval from a landlord. I would be more than happy to recommend Findspace to any student. At Findspace we want our tenants to be happy - from the moment we receive an enquiry right through to the end of a tenancy. Read all the great reviews which have given us our 5 Star rating on Google - they show why students continue to choose Findspace year after year. We would recommend Findspace to any students who were looking to rent a house with reliable and excellent service.